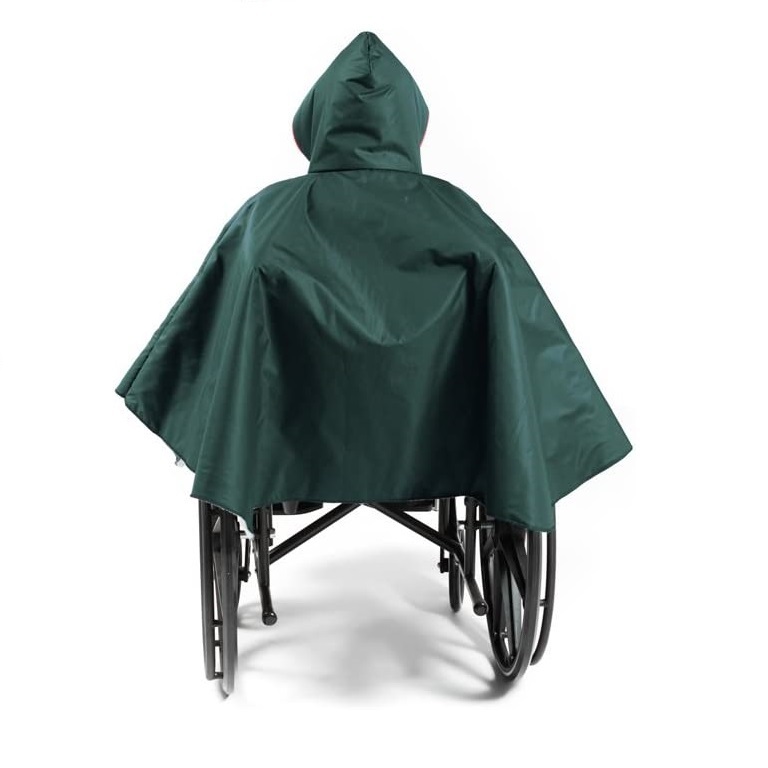 The Wheelchair Winter Poncho Green is a fully lined, water repellent poncho that provides protection from rain, snow, and cold. 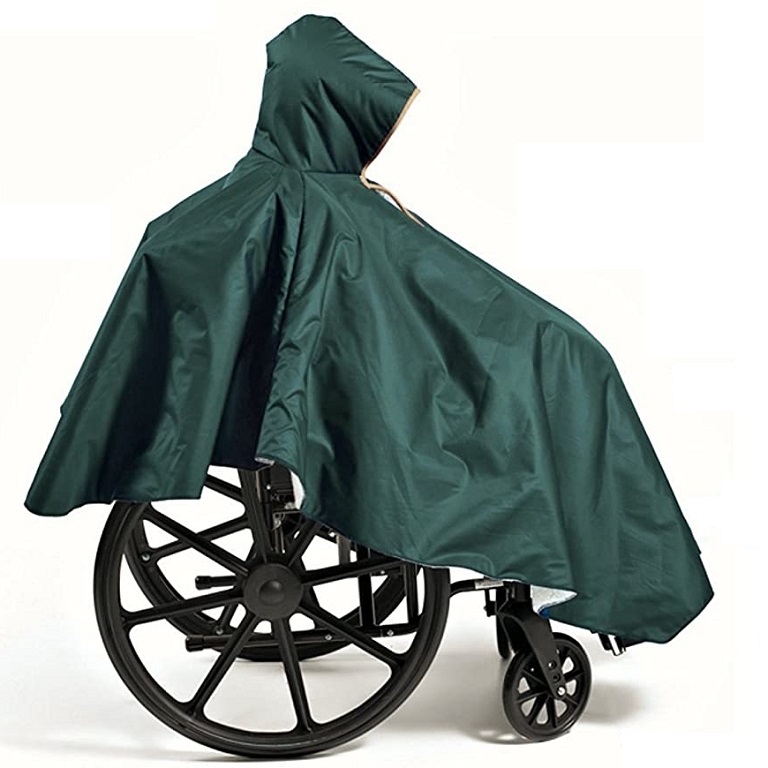 This adapted poncho is designed to provide better protection for wheelchair and scooter users than a standard jacket. 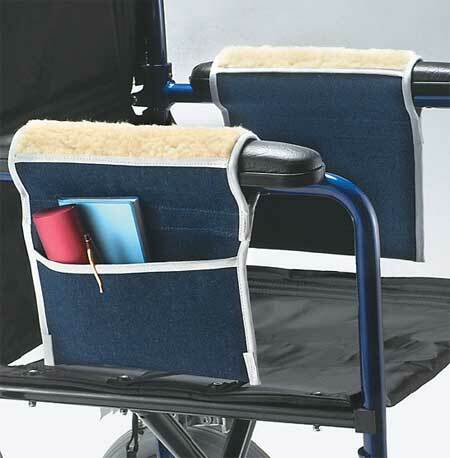 The Wheelchair Winter Poncho is designed with a shorter back and longer front to provide more coverage. 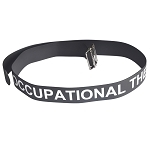 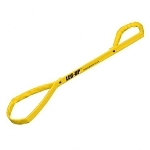 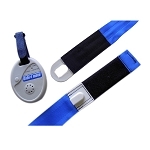 The front length measures 73 inches, and the back from the neck measures 27 inches. 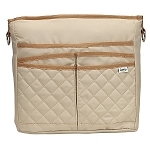 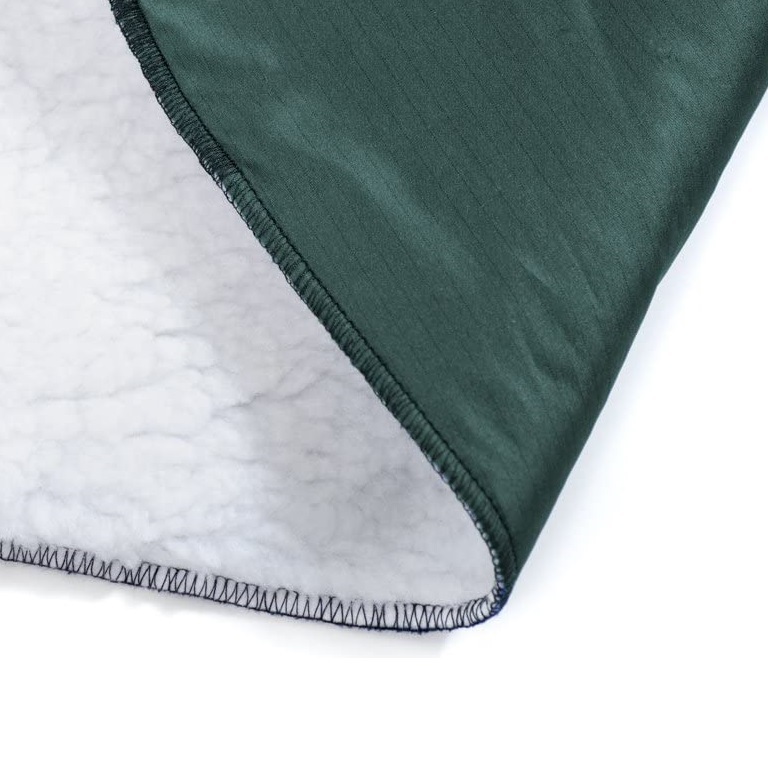 The soft, fleece Sherpa lining provides increased warmth. 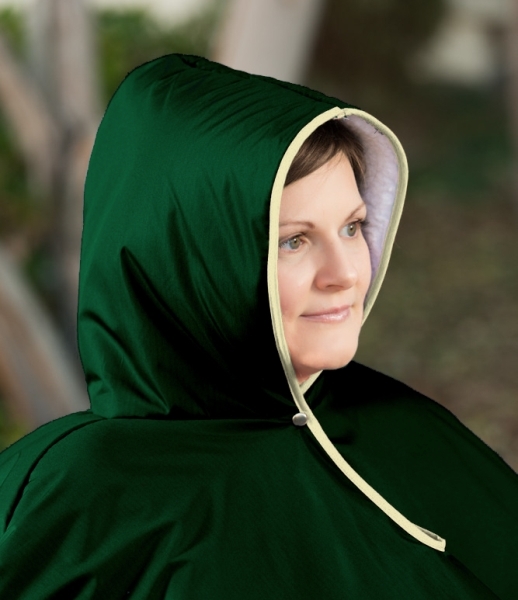 The over sized hood and zippered front closure make this poncho easy to slip on and off for people with limited mobility. 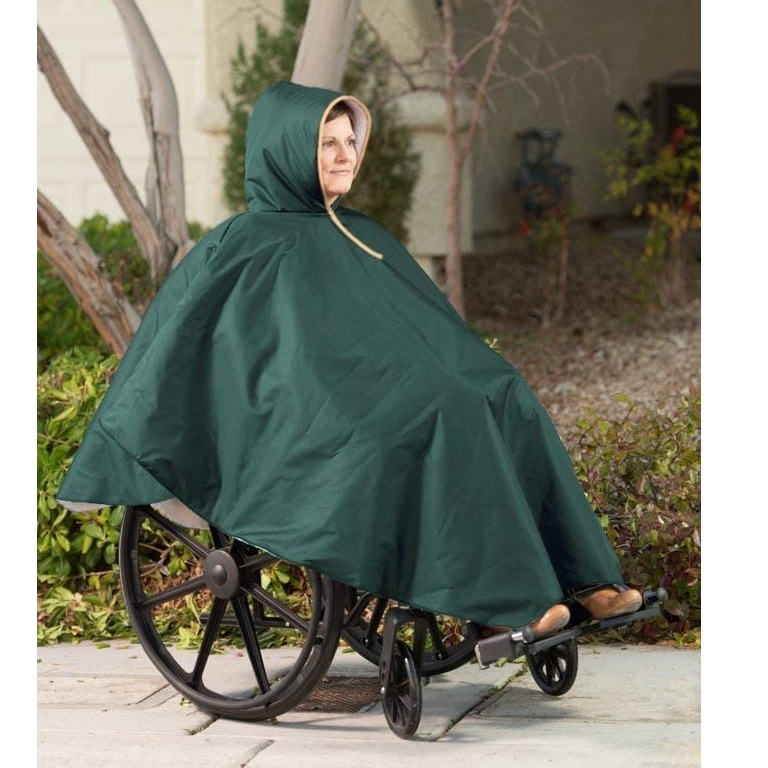 The Wheelchair Winter Poncho in also available in pink, black or navy. 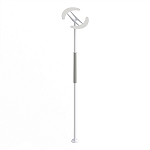 Mobility aid users will find the Wheelchair Winter Poncho Green provides protection from rain and cold.